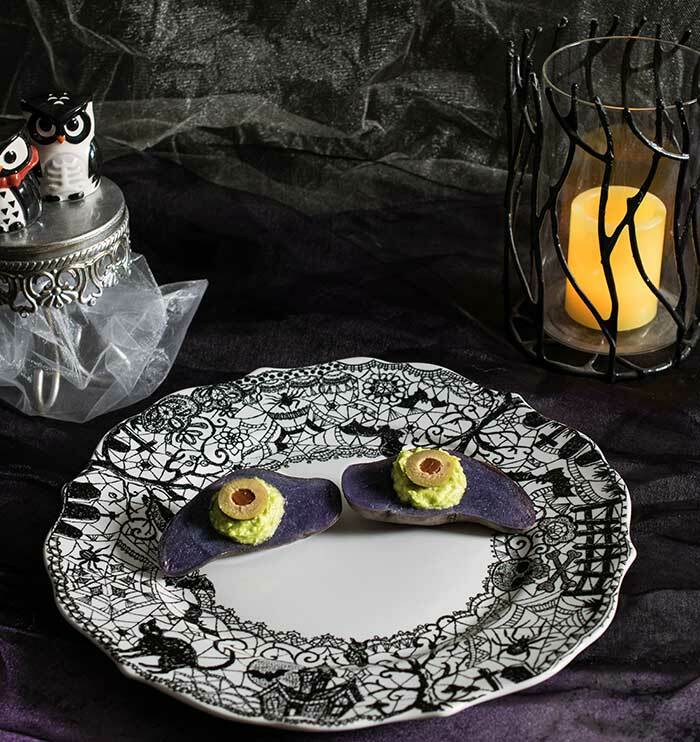 It’s not too late to make a spooky treat for you or your family. Don’t have purple potatoes? Any small potatoes will work. 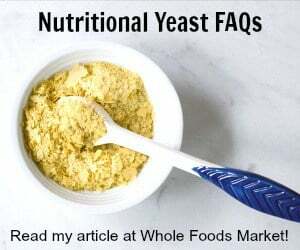 No avocado? Use tofu egg salad, hummus, or even pre-made guac to stuff these. You have no excuse to only eat candy tonight! Halloween food is almost always about the eyes. Slicing up veggies and layering them with olives to turn even a simple salad into a haunted treat. 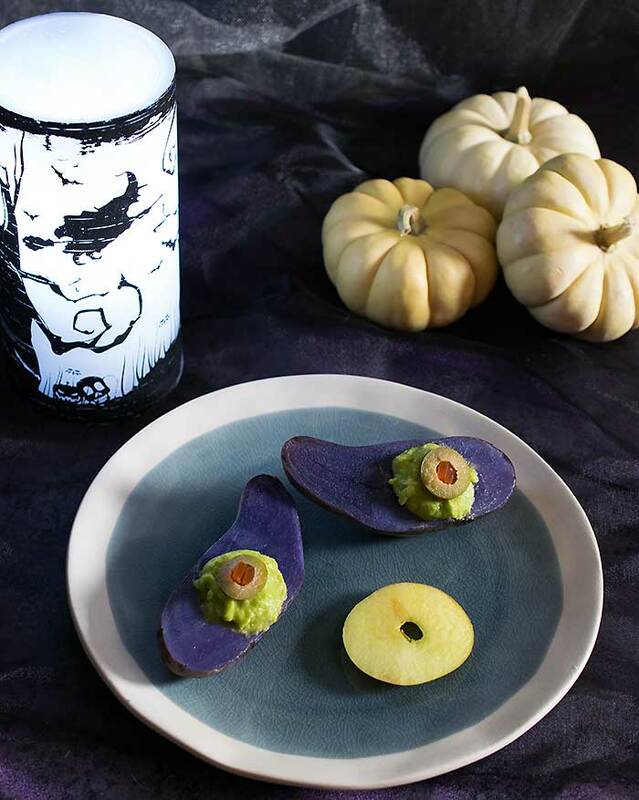 These Spooky Purple Potato Eyes with Smoked Avocado Mousse will add a spook factor and have your guests asking for more. Since the Idaho Potato Commission sent me larger fingerlings I was a tad bit worried how they would work, but these made better eye shapes than the smaller ones I’ve used before. These are so easy to make. Cook the potatoes, slice lengthwise, scoop out a little room for the avocado and top with an olive slice. 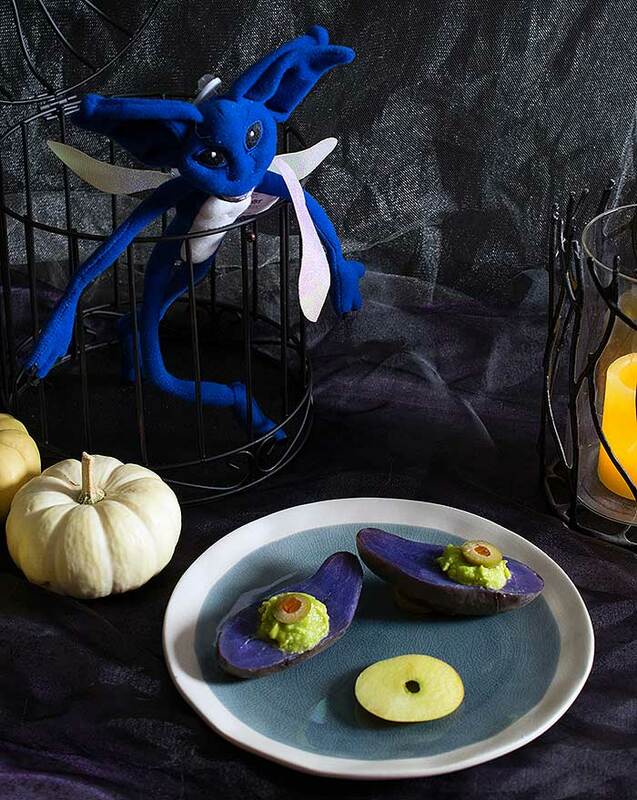 This is a great last minute Halloween treat. 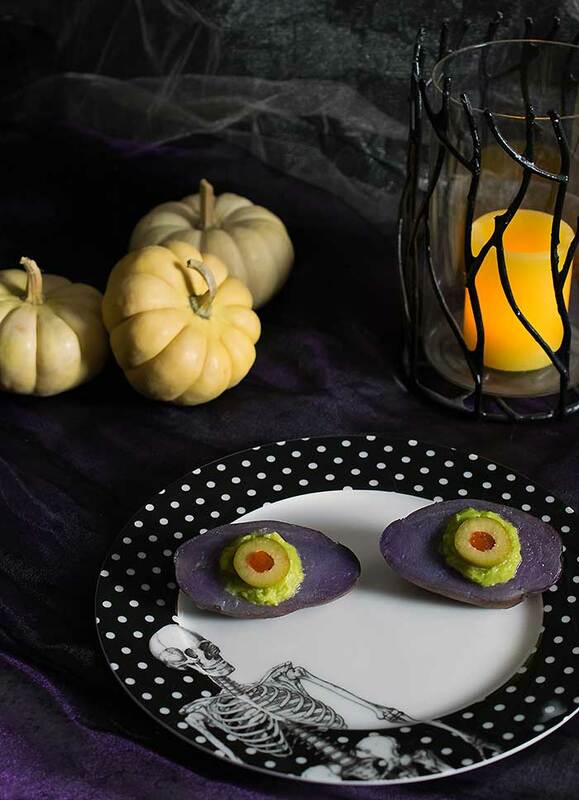 It's nutritious and creates the perfect spooky mood! Let the potatoes cool, then slice in half lengthwise. Use a melon scoop to make room for the mousse. Mash the avocado in a mixing bowl, then add the lemon juice or vinegar, liquid smoke, and salt. Mix well. Scoop the avocado mousse into the potato holes you made and top with an olive slice. Serve as an appetizer on their own or on top of a salad or soup. These look creepy yet delicious! These will be so perfect as appetizers at my Halloween party this year. Just creepy enough, yet delicious.